HOME > EVENTS & PROMOS > EASY ROCK EVENTS > After-work Mall Tour @ Market! Market! Hey, sweeties! You gotta mark your calendars and spend your payday Friday with us at Market! Market! 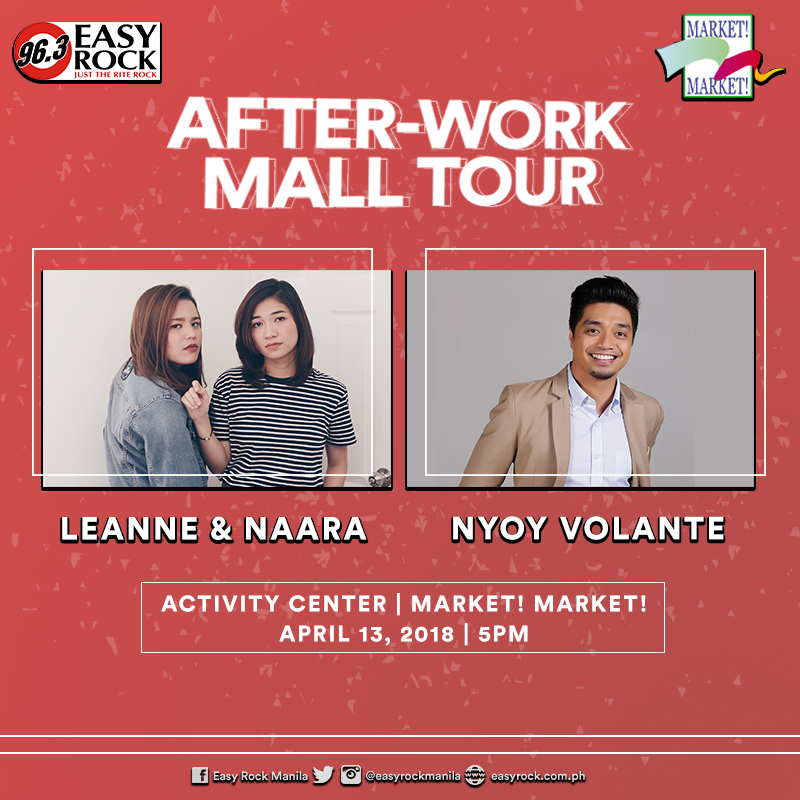 It’s gonna be fun because we’ll let Leanne and Naara and Nyoy Volanteserenade you with good songs from the heart! Plus, we’re bringing loads of fun and prizes just for you! So don’t miss this Friday night with Team Easy Rock and your favorite jocks, Samantha of 96.3 Easy Rock, Chloe of 96.3 Easy Rock, Nick of 96.3 Easy Rock, and newest bae-by Jay of 96.3 Easy Rock!